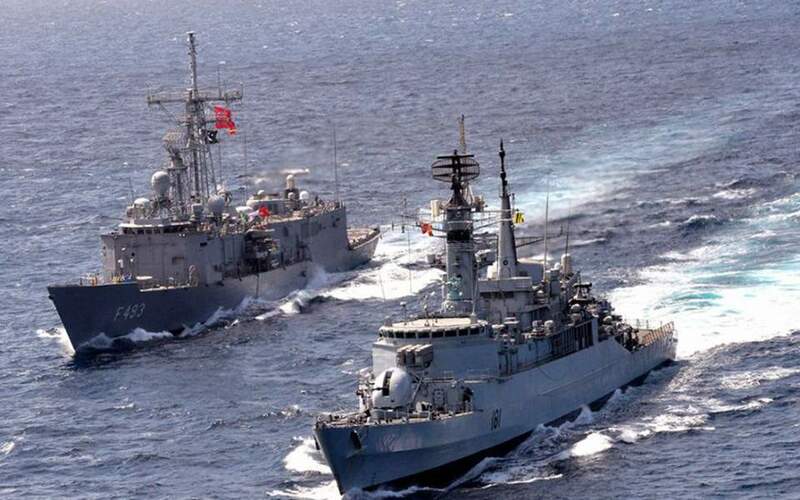 Turkey on Monday issued a Navtex reserving a maritime area south of Cyprus for live-fire exercises, Kathimerini's Cyprus edition has reported. The exercise is due to take place on Tuesday across a large section of block 5 and a smaller part of block 6 of Cyprus's exclusive economic zone. Cypriot government sources told state broadcaster RIK that Turkey violated procedure by failing to get Cyprus's approval before issuing the navigational telex. However, they also added that in this particular case, the country's sovereign rights were not being violated, as the exercises will take place outside Cyprus's territorial waters. Nicosia went on to issue is own telex, warning that the safety of ships in the area of the Turkish Navtex is not ensured.